Four Saints have not been offered new contracts for the 2019 season. All four guys have made sizeable contributions to St Kilda, and we wish them all the best for the future. 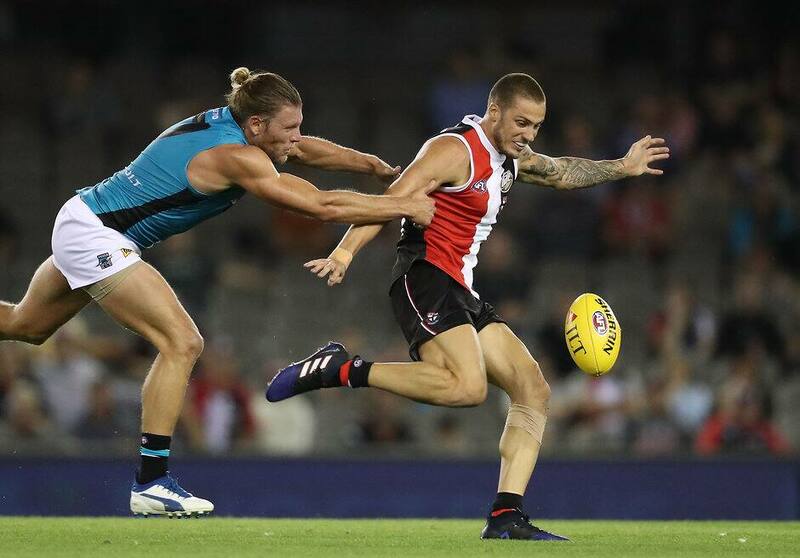 St Kilda Football Club wishes to advise that Nathan Wright, Hugh Goddard, Nathan Freeman and Category B rookie Ray Connellan have not been offered new contracts for the 2019 season. Wright played 35 games for the Saints after being selected with pick 24 in the 2012 AFL Draft. The hard-nosed forward managed two games in the senior side this season before being sidelined late in the year with a knee injury. Freeman joined the Saints in the 2015 Trade Period from Collingwood after he was originally selected with pick 10 in the 2013 AFL Draft. The midfielder battled persistent hamstring injuries in his five years in the AFL system before earning his debut in Round 20 this season. Goddard endured a similar run with injuries after being drafted with pick 21 in the 2014 AFL Draft. The key defender played 10 games in total, including the Round 22 clash with Hawthorn, after overcoming a serious achilles tendon issue and toe injury in previous years. Connellan joined the Saints as a Category B rookie at the beginning of 2017, making the move from Ireland alongside fellow countryman Darragh Joyce. The speedster was unable to force his way into the senior side. General Manager of Football Simon Lethlean thanked all four players for their contributions to the club. “Nathan’s (Freeman) journey has obviously been well-documented, and it was a really proud moment for everyone involved in his career to see him debut this year,” Lethlean said. “Nathan (Wright) really set the standard at the club for selfless, team-first football, while Ray has given everything over the past two seasons to make the step from Gaelic football to the AFL.